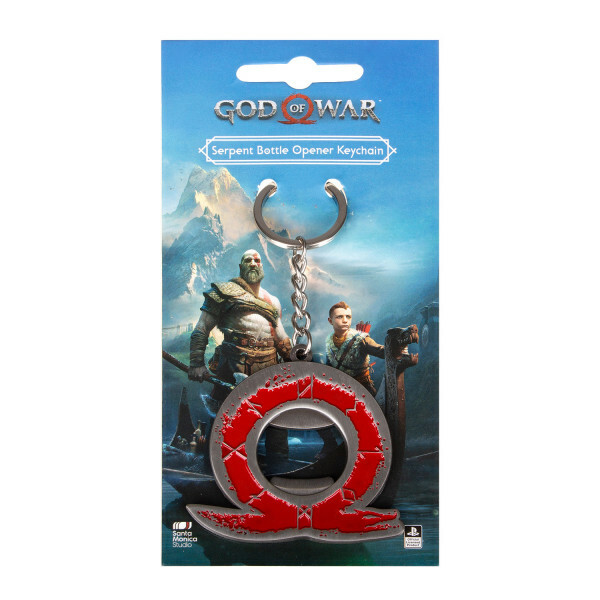 Keychain from "God of War", showing the Serpent logo. The keychain functions as a bottle opener. Made from metal, approx. 5cm in size. Manufactured by Gaya Entertainment. 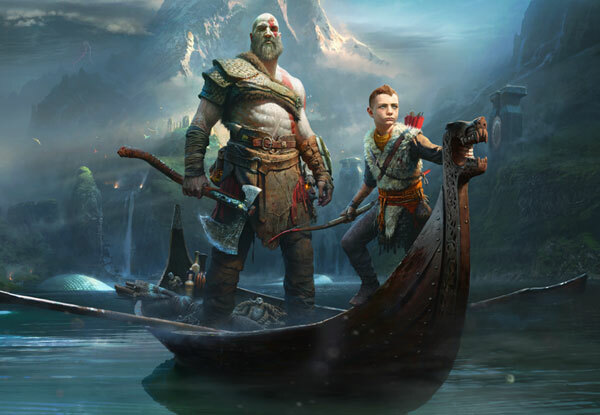 God of War is an action adventure video game series published by Sony Computer Entertainment and revolves around the Spartan Kratos who seeks revenge on all Olympians that betrayed him. The games are set in ancient Greece and feature famous gods from the Greek mythology like Ares, Athena and Zeus. As of 2015, the series has released 11 God of War games and earned multiple gaming awards like "Game of the Year" and "Best Action Game". In June 2012, Sony reported that the series had sold more than 21.65 million copies worldwide.